At Edgehill, we maintain a regular schedule each day. 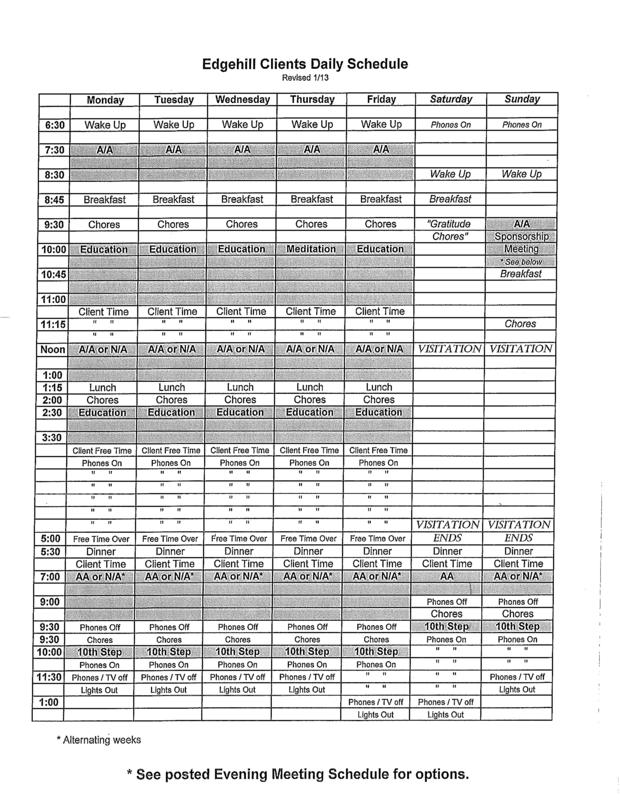 To see the daily schedule for our clients at Edgehill, click here. To look for upcoming special events, click here.